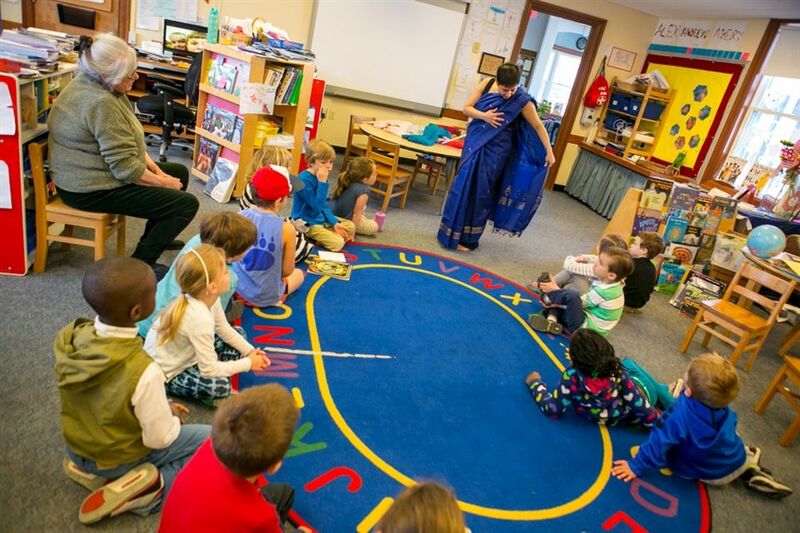 The Kindergarten Program is the quintessential melting pot where cognitive, social and physical development is addressed all at the same time. Through an interdisciplinary approach that engages the “whole child,” children build foundational skills for reading, writing and math while learning to work in a group, solve problems, think critically and creatively, and accept personal responsibility for their words and actions. Project-based curriculum integrates science, social studies, Spanish, technology, physical education, art and music. We believe in the power of connection between new and known experience and knowledge to inspire a curiosity that reaches well beyond the classroom.